It is not uncommon for science faculty to embark on international travel to meet with other scholars in their field in order to discuss and share ideas. 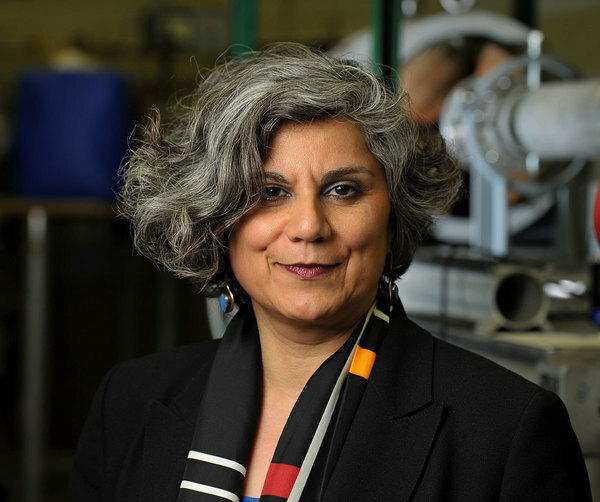 This certainly is the case with Ani Aprahamian, Freimann Professor of Experimental Nuclear Physics. However, it is certainly out of the ordinary to meet well-known scientific and state leaders. In the course of a couple of weeks in late October into early November, Aprahamian traveled to Cuba and Armenia. In these two weeks, Aprahamian met both President Serzh Sargsyan of Armenia and Fidel Castro, commonly known as Fidelito, and who is the son of the late and infamous Cuban leader Fidel Castro. Aprahamian traveled to Havana for the biennial Latin-American Symposium on Nuclear Physics and Applications (LASNPA). Rotating around Latin America every two years, LASNPA hosts the most prominent nuclear physicists of Latin America along with experts from the United States, Europe, and Asia. For Aprahamian, going to Latin America was nothing new. “I have many collaborations with scientists from South America, particularly from Brazil and Mexico. Some of our former graduate students and postdocs are now professors in Columbia, Brazil, Mexico, and other countries. I am often invited to give addresses at these meetings,” Aprahamian said. Despite the easing but still tense relationship between the U.S. and Cuba, Aprahamian had little hesitation to go to Cuba. She wanted to go and had many friends from South America attending the conference symposium. But Cuba was not Aprahamian’s only major trip as she traveled to Yerevan less than two weeks later for the PanArmenian Scientific Conference, a gathering of international scientists to give aspiring Armenian scientists international networking opportunities. Aprahamian, an ethnic Armenian whose grandparents survived the Armenian Genocide, is a member of Armenia’s National Academy of Sciences, which opened its doors to the Armenian expatriates after declaring independence from the Soviet Union in 1991. As part of that body, Aprahamian provides counsel and scientific evaluations. Originally published by Cliff Djajapranata at science.nd.edu on December 15, 2017.